Stay in touch with us via Twitter, Facebook, and our Polyversal Website to be notified of our Polyversal re-launch. Thanks for your support! We'll be back. "Polyversal is a tabletop miniatures game system that puts you in command of an army set in a plausible-future Earth intended for use with 1/300 scale (6mm) miniatures." Polyversal in urban terrain. 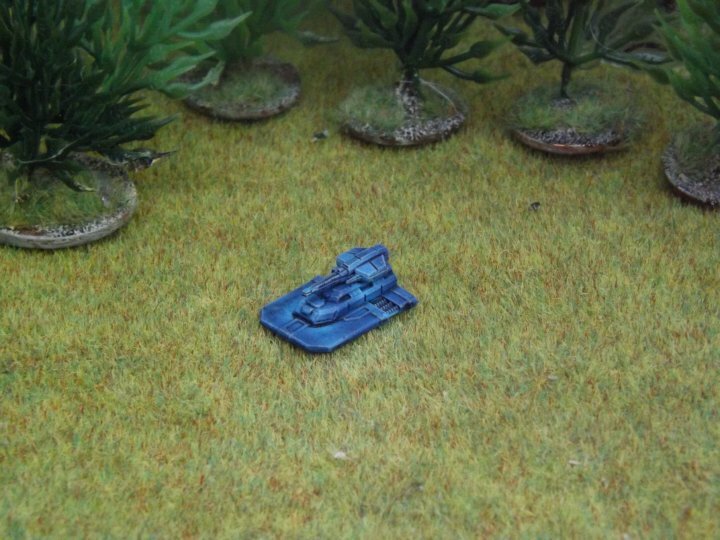 Miniatures from our partners Hawk, Plasmablast, Brigade, Microworld, Dark Realm. Several skyscrapers from The Phalanx Consortium. Battles in Polyversal are not fought between a few squads of men, but entire companies of vehicles, troops, and aircraft. You are not in command of a raid on a small compound. You must take the entire city. Select the right balance of forces for the mission. Plan your orders carefully. Execute your plan. Polyversal is a 6mm tabletop miniatures game for two or more players designed by veteran gamer Ken Whitehurst and developed and published by Collins Epic Wargames. The game uses color-coded polyhedral dice (D4-D12) to reflect the combat qualities of your combatants, their weaponry, their attack ability, evasion, combat effectiveness, and more. "Polyversal is a revolutionary gaming system for 6mm sci-fi tabletop wargaming and has been in development for nearly a decade." New to miniatures gaming? Polyversal boxed games include everything you need to get started- including miniatures from multiple manufacturers. Are you a veteran wargamer with armies amassed over years of campaigning? Polyversal's easy to use web-based Combatant Design Tool allows you to develop your own statistics for every miniature in your existing or future collection, from any 6mm line, regardless of manufacturer. Watch a brief 2-minute overview. Looking for amazing futuristic cityscape terrain? New Polyversal-themed terrain from The Phalanx Consortium provides immersion into the setting for city-based battles. There are many options to consider when using our planned web-based Combatant Design Tool to handle pretty much any miniature out there. A points-based system balances it all out. 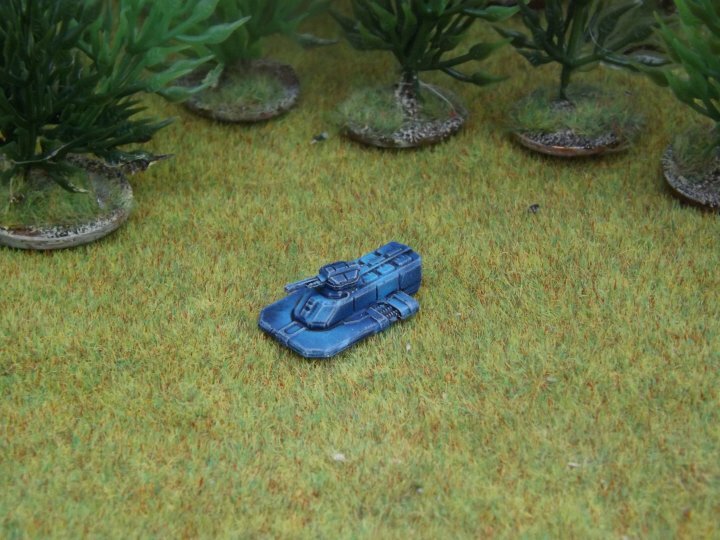 You’ll also get to upload a photo of your miniature to be used as the artwork of the tile. The output is a PDF that you can use in games of Polyversal. Watch the Introductory Gameplay video below for an overview featuring a battle between a “Dragonfly” Main Attack VTOL and an “Encegon” Main Battle Tank. If you’d like, you can also print-and-play this example by following the link below the video, adding some dice, and a few proxy miniatures. Remember, the print-and-play doesn't include the full rules- this is just a taste of the game. Watch the Polyversal Command and Control Preview video below for more detailed information about the Orders and Activation mechanics, Command Units, Units in and out of Command Range, Battlegroups, and more. 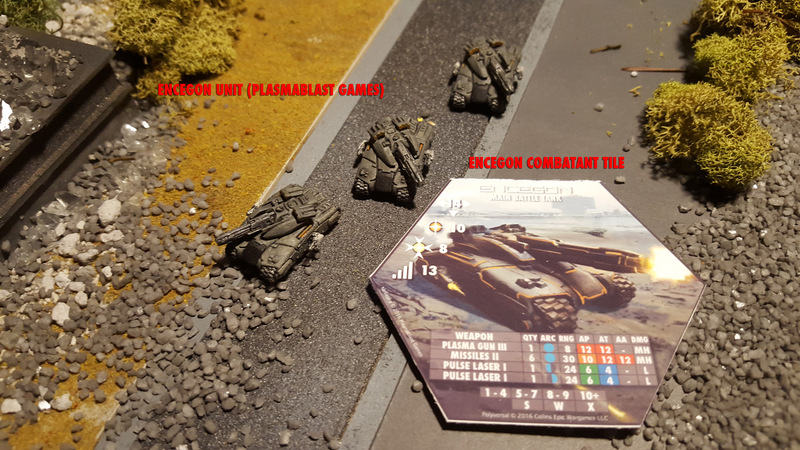 Typical Unit and Combatant Tile (3 Encegon Tanks, Plasmablast Games). Click for a larger version. Polyversal tells a compelling story of a conflict-ravaged near future Earth, fully immersing you in the setting. Why are these forces engaged in battle? Who are they and where are they from? "Polyversal has a great story to tell. You can help us tell it." Please watch our project video introduction to have a glimpse at the setting, or check out just the story intro embedded below. This is just one of many possible settings for Polyversal to take place. With Polyversal’s infinite customization, you too can create and tell your own story within the game using any miniatures you want. Read more about the story in Update 10. We have partnered with six high quality miniatures and terrain manufacturers to bring the 6mm sci-fi wargaming community together in a single rules system compatible with everything 6mm. Boxed games of Polyversal include your choice of several options of miniatures from each partner’s line along with combatant tiles with professional artwork for each model. 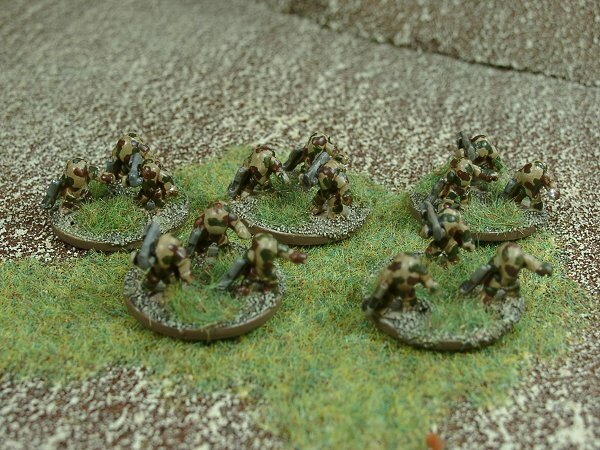 Several Janus Walkers from Hawk Wargames in action in Polyversal. 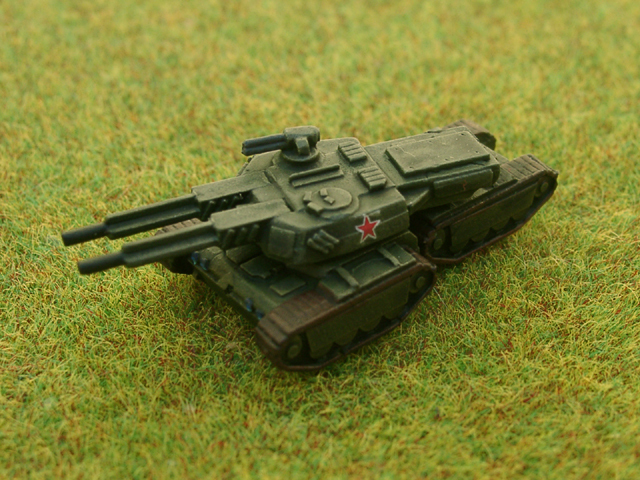 Our partners include Hawk Wargames, Dark Realm Miniatures, Brigade Models, Microworld Games, Plasmablast Games, and The Phalanx Consortium along with Bruno Werneck of Filmpaint as well as other artists. The websites of each are linked in the Connect section of this page. A formidable U.N. force. 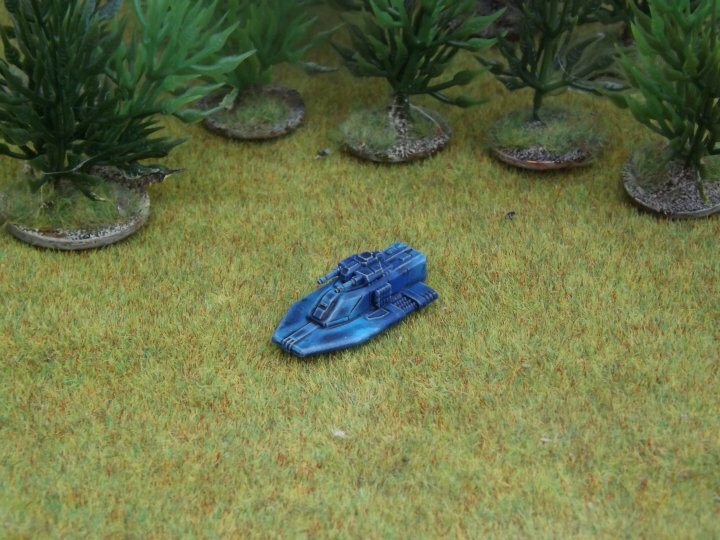 Miniatures from Plasmablast Games and Hawk Wargames. Building from The Phalanx Consortium. Click for a larger image. Each boxed game of Polyversal includes everything you need to play and features some excellent miniatures from our partners with pre-designed Combatant Tiles for each. If you pledge for a boxed game, you may select any 2 of the 4 options listed below. The list of included models will grow through stretch rewards if we fund beyond our goal. Remember you can choose any 2 of the above options for inclusion in your boxed game of Polyversal. You can also add one or both additional options if you'd like as an add-on for a great value. See the Add-Ons section below. "Boxed Games of the Kickstarter version include all stretch rewards and start at the Battlegroup Commander Reward Level"
The Phalanx Consortium has created custom Polyversal-themed terrain to help immerse you in the story we provide. One place of conflict is abandoned cities on a future Earth. This cityscape terrain initially includes 5 cast foam resin skyscraper buildings that look amazing on the battlefield and are quite affordable, detailed, durable, and lightweight. Buildings in multiple sections easily assemble and disassemble. "Grab one piece of cityscape terrain from The Phalanx Consortium or the initial set of all five skyscrapers at a great value." Some Polyversal rewards include terrain bundles in the UN Special Envoy series in various combinations at a discount off MSRP. Buildings included in each terrain bundle are identified by name. 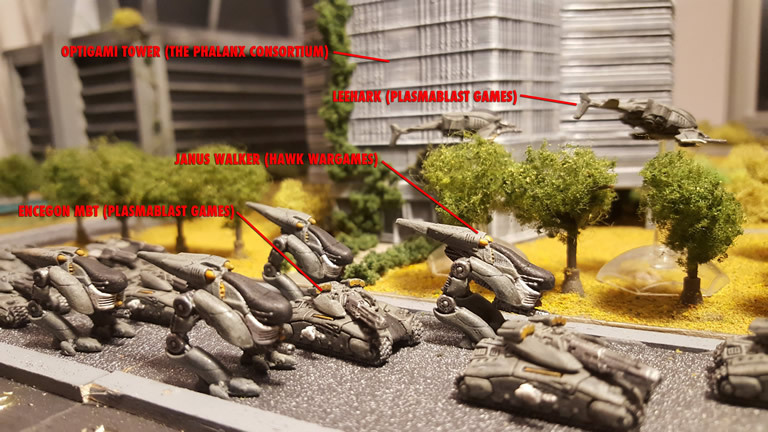 A description with dimensions and an image of each building is shown below including an image of two prototypes CEW and Phalanx have shown off at recent US conventions. You'll also see two buildings fully detailed in our gameplay and project videos. Turnitsa Research Facility (17 cm H x 26 cm W x 8.6 cm D) (3 parts- Tower core and 2 wings): Little is known about the research conducted by Dr. Turnitsa and his team behind these heavily guarded doors. Optigami Corporation Tower (24 cm H x 15 cm W x 13 cm D) (5 parts- Tower core and 4 side base columns): Headquarters for the Optigami Corporation known for their pioneering work on long range information transmission technologies. U.N.S.C. Building (41 cm H x 12 cm W x 15 cm D) (1 part tower): Headquarters of the United Nations Security Council and their secretive Military Staff Committee. The U.N.S.C. maintains order through global peacekeeping operations. U.N.E.P. Headquarters (14 cm H x 26.3 cm W x 25 cm D) (TBD parts): Headquarters building for the United Nations Environmental Programme. Without the watchful eye and careful control of the United Nations Environmental Programme, the increasingly powerful and unpredictable weather systems of the mid-21st century would have ruined trade and the collection of natural resources the world over. The UNEP oversees its vast Dyeus weather control network from this grand facility. Koenig Tower (54 cm H x 23 cm W x 11 cm D) (10 parts- 2 part tower core, 6 lower columns, 2 side flairs): Named for its CEO, Victor Koenig, this iconic office of Balkenkreuz Sicherheit GmbH is a field office for the Mainz, Germany based security firm. Balkenkreuz is among the largest and best known security contractors on Earth. An eccentric former operator with the German KSK, Koenig is rumored to control his own fiercely loyal private army. Supporting Polyversal helps us make this game a reality by funding final development, artwork, web development costs for the Combatant Design Tool, and production costs for physical components including large special miniatures casting runs by our partners. Rewards for supporting the game range from a Thank You noted in the rules to boxed games and terrain bundles on up to fully painted and assembled games. There is also a retailer-only reward as noted. In addition, early-bird limited rewards offer the same version of some rewards, but with an extra early backer value. "Grab these limited rewards before they are all gone!" Shipping is in addition to each reward that includes a physical product and is added on to your pledge based on your shipping location. USA, Canada, and International locations have different flat rates. Note that for international shipments, you may also be required to pay import duties imposed by your country. EU Friendly - Certain rewards such as Adjutant and Battlegroup Commander are marked "EU Friendly" which means they ship from within the EU to an EU destination, saving you on shipping and import duties if you are in an EU country. Be sure to select the appropriate EU Friendly reward. Important: To pledge for multiple copies of any reward, please multiply your pledge value by the number of copies of that reward you desire (including the shipping add-on). We will group your shipment together and if there is a shipping delta, we will refund that to you by PayPal. All rewards include a Thank You in the rulebook by listing your name as a supporter as well as access to the forthcoming web-based Combatant Design Tool. All rewards that included printed rules or a physical boxed set also include a PDF version of the rules! UN Representative – Thank You for supporting Polyversal! We will list your name in the rulebook as a supporter. Please do not apply add-ons to this support level- it does not involve shipping. UNEP Engineer / UNEP Engineer Limited – PDF copy of the Polyversal Rulebook. Includes Combatant Design Tool access. This is an electronic copy of the rules. Limited version reflects early supporter discount. Please do not apply add-ons to this support level- it does not involve shipping. NOTE: Most stretch rewards, if unlocked, are additional models. This support level does not include stretch rewards. Peacekeeper / Peacekeeper Limited – Printed copy of the Polyversal Rulebook. Includes Combatant Design Tool access. Limited version reflects early supporter discount. Please do not apply add-ons to this support level- it does not involve shipping. NOTE: Most stretch rewards, if unlocked, are additional models. This support level does not include stretch rewards. Adjutant / Adjutant Limited (NEW) (EU Friendly version available) - One copy of the printed rules, all 15 polyhedral dice you need, orders tokens, quick reference cards, tracking counters for gameplay, boxed, plus, access to the Combatant Design Tool to create your own Combatant Tiles. This is basically the full game minus miniatures and combatant tiles that are in our starter sets. Note that you’ll have to create your own combatant tiles with our tool in order to play. Perfect for the customization gurus out there. Includes PDF rules. Limited version reflects early supporter discount. NOTE: Most stretch rewards, if unlocked, are additional models. This support level does not include stretch rewards. Battlegroup Commander / Battlegroup Commander Limited (EU Friendly Version Available) – One copy of the Polyversal boxed game with your choice of 2 of 4 miniatures options and combatant tiles plus any Stretch Rewards unlocked. Includes Combatant Design Tool access. This is everything you need to play Polyversal as well as customize and expand it. Includes PDF rules. Limited version reflects early supporter discount. This is our recommended basic support level to get you into the game. UN Special Envoy I-V - One copy of the Polyversal boxed game plus any Stretch Rewards unlocked along with cityscape terrain bundles in various combinations. 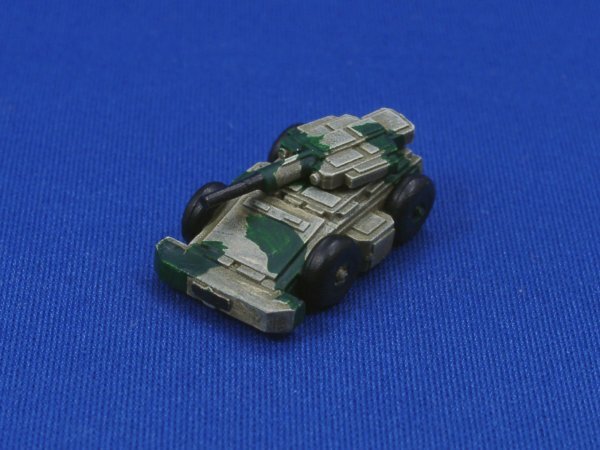 These rewards include everything in the Battlegroup Commander Reward as well as various combinations of Polyversal cityscape terrain from our partner, The Phalanx Consortium. Refer to the building descriptions and photos to see which buildings are included in each terrain bundle. The more buildings included in a bundle, the more you save. Trusteeship Council / RETAILER ONLY. For retailers only (please provide a copy of your business license), this reward includes one case of 4 copies of the Kickstarter version of the boxed game of Polyversal at a special retailer-only price. Retailers note: If you would also like to stock a case of terrain, please contact us directly. Security Council - Painted and assembled games. 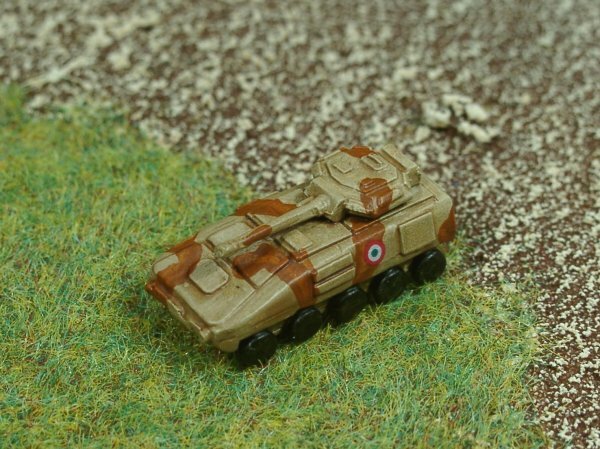 This limited reward offers the Battlegroup Commander reward with fully painted and assembled, custom packed miniatures (including Stretch Reward miniatures, if any). Note this adds some additional time to reward fulfillment to allow us time to accomplish the painting and assembly work. Secretary General - Painted and assembled games as well as painted terrain. This limited reward offers the UN Special Envoy V reward with fully painted and assembled, custom packed miniatures (including Stretch Reward miniatures, if any) as well as full painted terrain (all 5 buildings). These games and terrain pieces are out of the box playable. Note this adds some additional time to reward fulfilment to allow us time to accomplish the painting and assembly work. Add-ons allow you to customize what you want your reward to include beyond the pledge level. Add-ons and their costs are shown below. Simply decide what you’d like and increase your pledge value by that amount. "All add-ons already account for shipping." Upon checkout, our survey tool will double check the add-on calculations for you. You may select to add on individual buildings from The Phalanx Consortium, or, for any rewards that include a full boxed game with miniatures, you may add an additional set of miniatures for the UN or OPFOR forces. This is an additional full set of either force or both for the appropriate amount. Sorry, we cannot add on individual models. For that, we recommend buying directly from our partners. Important note regarding Add-Ons: Since add-ons include the DELTA in shipping from a regular reward, please DO NOT include add-ons with rewards that do not already involve shipping (i.e. UN Representative / UNEP Engineer rewards). If you do, we will have to collect extra shipping from you upon project close or refund your add-on amount. See Contents Above for Options. If we fund beyond our initial goal, various stretch rewards will be unlocked for everyone who backs this project from the Battlegroup Commander pledge on up. We will reveal each new stretch goal here and in a project update as we break through the previous funding goal. Most stretch rewards include additional miniatures with Combatant Tiles added to each boxed set of Polyversal for Kickstarter supporters only. "The more funding you help us raise, the more you will receive without worrying about complicated add-ons or calculations- and all for the same price of your preferred initial pledge." Help us unlock exciting rewards by sharing this project with your gaming friends! Like what you see? Please let us know, like, follow, and share! Risk 1 Mitigation: By working with multiple manufacturers, we mitigate Risk 1 with the ability to adjust the game's base set contents if one manufacturer cannot fulfill their contract. Adjustment may include substitution of a model from another manufacturer that will suit the design intent and will be of equal or greater value if this option is required. If this happens, we will let you know. UNEP Engineer Limited – PDF copy of the Polyversal Rulebook. This is an electronic copy of the rules. Limited version reflects early supporter value. UNEP Engineer – PDF copy of the Polyversal Rulebook. This is an electronic copy of the rules. Peacekeeper Limited – Printed copy of the Polyversal Rulebook. Limited version reflects early supporter value. Peacekeeper – Printed copy of the Polyversal Rulebook. Adjutant Limited (EU Friendly)- One copy of the boxed game WITHOUT miniatures or combatant tiles. This includes a printed copy of the rules, orders tokens, tracking counters, 15 polyhedral dice, and quick reference cards. You will need to use our Combatant Design Tool to create your own Combatant Tiles. Limited reward reflects early supporter value. Ships to an EU country from within an EU country only. Adjutant Limited - One copy of the boxed game WITHOUT miniatures or combatant tiles. This includes a printed copy of the rules, orders tokens, tracking counters, 15 polyhedral dice, and quick reference cards. You will need to use our Combatant Design Tool to create your own Combatant Tiles. Ships to the USA and rest of the world. See the EU Friendly version for EU customers. Adjutant (EU Friendly)- One copy of the boxed game WITHOUT miniatures or combatant tiles. This includes a printed copy of the rules, orders tokens, tracking counters, 15 polyhedral dice, and quick reference cards. You will need to use our Combatant Design Tool to create your own Combatant Tiles. Ships to an EU country from within an EU country only. Adjutant - One copy of the boxed game WITHOUT miniatures or combatant tiles. This includes a printed copy of the rules, orders tokens, tracking counters, 15 polyhedral dice, and quick reference cards. You will need to use our Combatant Design Tool to create your own Combatant Tiles. Ships to the USA and rest of the world. See the EU Friendly version for EU customers. Battlegroup Commander Limited – One copy of the Polyversal boxed game plus any Stretch Rewards unlocked. This is everything you need to play Polyversal as well as customize and expand it. Limited version reflects early supporter value. This is our recommended basic support level to get you into the game. Battlegroup Commander Limited (EU Friendly) – One copy of the Polyversal boxed game plus any Stretch Rewards unlocked. This is everything you need to play Polyversal as well as customize and expand it. Limited version reflects early supporter value. This is our recommended basic support level to get you into the game. Ships to an EU country from within an EU country only. Battlegroup Commander – One copy of the Polyversal boxed game plus any Stretch Rewards unlocked. This is everything you need to play Polyversal as well as customize and expand it. This is our recommended basic support level to get you into the game. Battlegroup Commander (EU Friendly) – One copy of the Polyversal boxed game plus any Stretch Rewards unlocked. This is everything you need to play Polyversal as well as customize and expand it. This is our recommended basic support level to get you into the game. Ships to an EU country from within an EU country only. UN Special Envoy I - One copy of the Polyversal boxed game plus any Stretch Rewards unlocked. This is everything you need to play Polyversal as well as customize and expand it. This reward also includes the 6mm skyscraper "Turnitsa Research Facility" from The Phalanx Consortium. UN Special Envoy II - One copy of the Polyversal boxed game plus any Stretch Rewards unlocked. This is everything you need to play Polyversal as well as customize and expand it. This reward also includes the 6mm skyscrapers "Turnitsa Research Facility" and "Optigami Corporation Tower" from The Phalanx Consortium. UN Special Envoy III - One copy of the Polyversal boxed game plus any Stretch Rewards unlocked. This is everything you need to play Polyversal as well as customize and expand it. This reward also includes the 6mm skyscrapers "Turnitsa Research Facility", "Optigami Corporation Tower" and "UNSC Building" from The Phalanx Consortium. Limited reward reflects early supporter value. UN Special Envoy IV - One copy of the Polyversal boxed game plus any Stretch Rewards unlocked. This is everything you need to play Polyversal as well as customize and expand it. This reward also includes the 6mm skyscrapers "Turnitsa Research Facility", "Optigami Corporation Tower", "UNSC Building", and "UNEP Headquarters" from The Phalanx Consortium. Trusteeship Council - RETAILER ONLY. For RETAILERS ONLY (please provide a copy of your business license), this reward includes one case of 4 copies of the Kickstarter version of the boxed game of Polyversal at a special retailer-only rate, half off total MSRP. Includes all stretch rewards unlocked. UN Special Envoy V - One copy of the Polyversal boxed game plus any Stretch Rewards unlocked. This is everything you need to play Polyversal as well as customize and expand it. This reward also includes all 5 6mm skyscrapers "Turnitsa Research Facility", "Optigami Corporation Tower", "UNSC Building", "UNEP Headquarters", and "Koenig Tower" from The Phalanx Consortium. Security Council Limited – One copy of the Polyversal boxed game plus any Stretch Rewards unlocked with all miniatures fully assembled, painted, based as applicable, and custom packaged. Secretary General Limited – One copy of the Polyversal boxed game plus any Stretch Rewards unlocked with all miniatures fully assembled, painted, based as applicable, and custom packaged. This reward also includes fully painted versions of all 5 6mm skyscrapers "Turnitsa Research Facility", "Optigami Corporation Tower", "UNSC Building", "UNEP Headquarters", and "Koenig Tower" from The Phalanx Consortium.